* Sturdy fiberglass construction with tarnish resistant chrome plated steel parts. 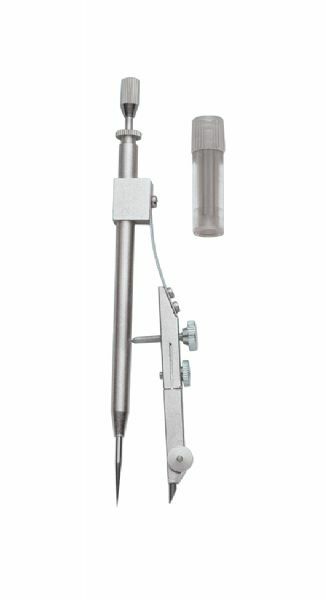 * For rapid precise drawing of circles up to 1" in diameter. The circle diameter max is 1". The size is 4 3/4". 6.75" x 1.75" x 0.75"